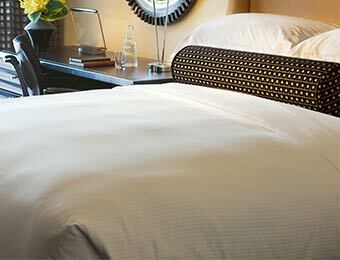 Treat your bed to timeless white tone-on-tone. It would be a sham to miss out on this polished pair. 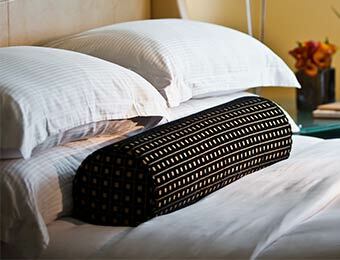 Featuring 300 thread count for a soft, supple touch. 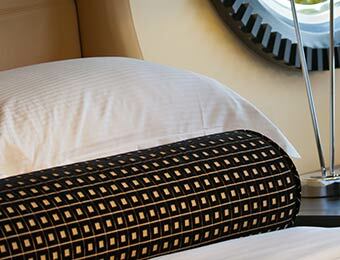 You’ve hit the jackpot with Kimpton hotels’ timeless mini stripe duvet cover, matching shams, pillow cases and sheets. 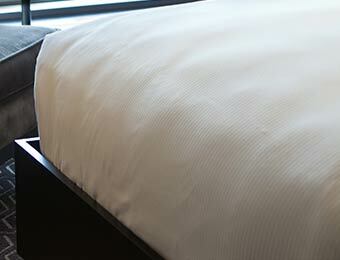 These white tone-on-tone, 100% cotton sateen linens by Frette are subtle and sensational at the same time.